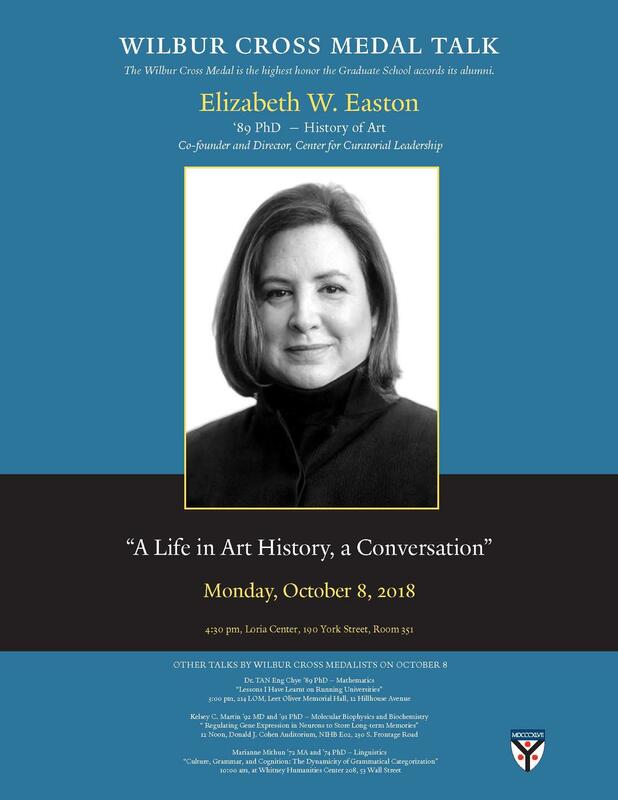 In 2006, Elizabeth W. Easton left her job as chair of the Department of European Painting and Sculpture at the Brooklyn Museum to create the Center for Curatorial Leadership (CCL). Easton and Agnes Gund, her co-founder and president emerita of The Museum of Modern Art, saw a budding crisis in art museums, which were threatening to favor the leadership of experts in finance rather than experts in art. The CCL set out to keep curators in core decision-making roles by teaching them finance, management, and visionary leadership skills. The program has aided the professional advancement of almost 90% of its graduates, with a third currently leading institutions. In 2014, the CCL expanded to include two new initiatives: a partnership with The Museum of Modern Art training curators from around the globe, and a seminar for advanced Ph.D. students in museum practice. These programs empower curators worldwide and create a new generation of museum leaders–with an emphasis on ensuring that the directors and curators of the future will represent the racial and cultural diversity of our country. Easton earned her Ph.D. at Yale University in 1989, where she wrote her dissertation on Edouard Vuillard’s interiors of the 1890s. She joined the Brooklyn Museum in 1988 as assistant curator and became chair of the Department of European Painting and Sculpture in 1999. During her tenure, she was responsible for numerous exhibitions, including Intimate Interiors of Edouard Vuillard (1990), Frederic Bazille: Prophet of Impressionism (1992), Monet and the Mediterranean (1997), and Brooklyn Collects (2001). Her recent scholarship has focused on picture frames and artists’ photographs after the invention of the Kodak—the subject of her most recent exhibition and catalogue, Snapshot: Painters and Photography, Bonnard to Vuillard (2012). Among other academic and professional honors, Easton was appointed Chevalier de l’Ordre des Arts et des Lettres by the French Government in 2008 and serves on the board of trustees of the Massachusetts Museum of Contemporary Art (MASS MoCA). 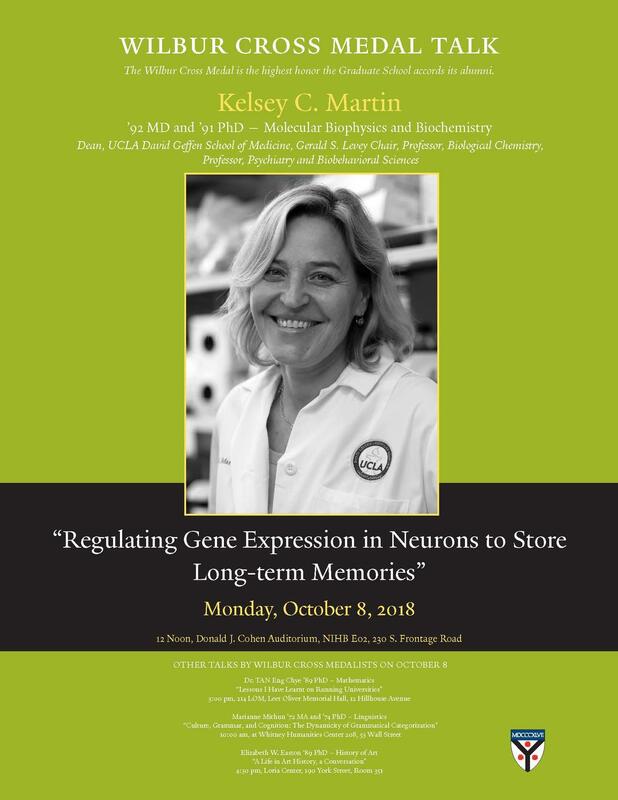 Kelsey C. Martin, M.D., Ph.D., is professor of biological chemistry and professor of psychiatry and biobehavioral sciences at University of California, Los Angeles, where she also serves as dean of the David Geffen School of Medicine. In her role as dean, Martin leads over 12,000 faculty, staff, and trainees at an organization with an annual budget of $2.4 billion. Under her leadership, the school is focused on bridging traditionally disparate disciplines to translate scientific discoveries into life-saving cures, understand and address health care injustice, and train the next generation of medical and scientific thought leaders. Martin’s career path has uniquely prepared her to tackle medicine’s most pressing challenges. After receiving her undergraduate degree in English and American language and literature at Harvard University, she served as a Peace Corps volunteer in the Democratic Republic of Congo where she created and implemented a life-saving vaccine program. She then entered the M.D.-Ph.D. program at Yale University where she studied influenza virus-host cell interactions in the laboratory of Dr. Ari Helenius, receiving her Ph.D. degree in molecular biophysics and biochemistry in 1991 and her M.D. degree in 1992. She went on to do her postdoctoral training on the biology of memory in neurobiology with Nobel Laureate, Eric Kandel, at Columbia University, and joined the UCLA faculty in 1999. As a neuroscientist, Martin integrates molecular cell biological, electrophysiological, and next-generation genomic approaches to understand how experience changes brain connectivity to store long-term memories. Outside of UCLA, she serves on the editorial board of Cell, the board of directors for the Burroughs Wellcome Fund and the McKnight Endowment Fund for Neuroscience, and is co-chair of California Governor Jerry Brown’s Advisory Committee on Precision Health. In 2016, Martin was elected to the American Academy of Arts and Sciences and the National Academy of Medicine. 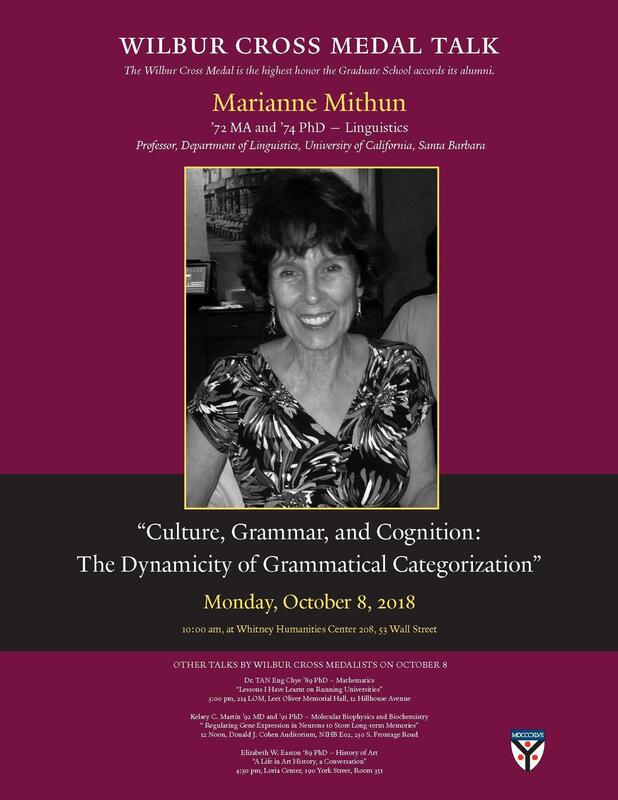 Marianne Mithun is professor of linguistics at the University of California, Santa Barbara. Her work focuses on the many ways languages can vary and the reasons they take the shapes they do. Though it was once thought that language structure is arbitrary, it is now recognized that the distinctions speakers make as they speak, and the words and structures they use to make them, are profoundly shaped by what has been expressed the most often by their ancestors over millennia of daily interaction. Frequency leads to routinization, the essence of grammar. Some linguistic categories recur in language after language, because they reflect common human concerns. But others develop out of features of the natural environment and central social, cultural, and intellectual traditions. Furthermore, most languages have been spoken by multilinguals in the course of their development. The presence of multiple languages in the brain can a≠ect not just vocabulary, but also what speakers choose to specify and how. Mithun’s work ranges over most areas of language structure: morphology, syntax, discourse, prosody, and their interrelations; language contact and language change; and language typology and universals. It is based on documentation directly with speakers of lesser-known languages, particularly those indigenous to North America and Austronesia. Throughout her career she has worked with communities dedicated to documenting and teaching their traditional languages. She has received honorary doctorates from the University of Oslo, La Trobe University (Melbourne), and the Médaille du Collège de France. She has been elected to the Academia Europeaea and the Norwegian Academy of Science and Letters, and served as president of the Societas Linguistica Europaea, the Association for Linguistic Typology, the Society for the Study of the Indigenous Languages of the Americas, and the Society for Linguistic Anthropology. Her volume, The Languages of Native North America, received the LSA Bloomfield Book Award of the Linguistic Society of America. 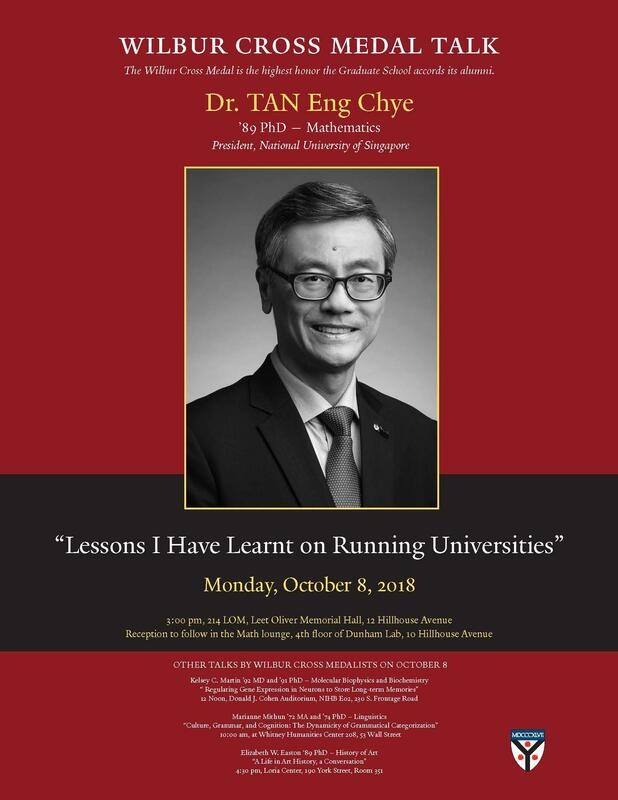 Professor Tan Eng Chye is the fifth president and 23rd leader of the National University of Singapore (NUS), Singapore’s flagship higher education institution and one of Asia’s top universities. Tan obtained his bachelor’s in mathematics at NUS in 1985 and his Ph.D. at Yale University in 1989. He joined NUS as a faculty member in the Department of Mathematics in 1985 and was promoted to professor in 2006. Tan’s research interests are in the Representation Theory of Lie Groups and Lie Algebras, and Invariant Theory and Algebraic Combinatorics. He has been invited to speak in numerous top conferences overseas, and has published more than twenty articles in top internationally-refereed journals and conference proceedings. Tan co-authored three books on mathematics, including a well-known graduate text on non-Abelian harmonic analysis. As a passionate and award-winning educator, he was recognized with the University Teaching Award for Innovative Teaching in 1998 and has also won university and faculty teaching excellence awards. Tan was appointed as dean of the Faculty of Science in 2003, and deputy president (academic affairs) and provost in 2007. During his tenure as provost, he seeded many bold initiatives such as the University Scholars Program, University Town Residential College Program, Grade-free Year, and Technology-enhanced Education. Tan is widely regarded to be a pioneer architect of the current academic system at NUS. Tan also served as president of the Singapore Mathematical Society (2001 to 2005), and president of the South East Asian Mathematical Society (2004 to 2005). For his outstanding contributions to education, Professor Tan was conferred the Public Administration Medal (Gold) at Singapore’s National Day Awards in 2014.